This blog post is not like our regular techie oriented blog post, this blog post is about you guys, our users. Call it the holidays' spirit, but lately we have been having a strong urge to say thanks. Thanks to our awesome users. Cloudinary's main way of getting around has been word of mouth. I know this sounds surprising, how can such a large client base exist without advertising? Well, it does, and it's thanks to our community. One of Cloudinary's pride and joys is the fact that our users truly love what we do and what we have to offer, so in turn, they pass it along by spreading the word to their friends and colleagues. I don't know how many of you know how Cloudinary came to be, but Cloudinary actually started off as an in-house project, by three developers trying to find a better solution for their own needs. Dealing with images was taking up more and more of our time. Instead of advancing our core product, our time was consumed with image management. As this cloud based service developed and improved, we found that this in-house solution was actually far more useful than anticipated and appeared as a much needed solution for web and mobile developers all over. We started telling our web developer friends about Cloudinary and within minutes they were hooked! It was amazing how much time could be saved with Cloudinary. And that's how Cloudinary came to be, no advertising, just word to mouth. In no time we found ourselves with a lot of users that had reached us through friends, Twitter and blog posts. Naturally, this turn of events was making us very happy, and we started thinking, how can we give back to this kind community which has helped promote us so much? The answer was clear - let you guys continue doing what you do so well, but now, reward each referral, every new friend of a friend, post, like or tweet you guys make. The more friends you bring - the bigger your account gets, and the happier your friends are that their image management just got that much easier. Simply share Cloudinary with your friends via Facebook & Twitter and you will be rewarded with 250MB of extra storage space, 25,000 images and 500MB of monthly bandwidth. Tweet about Cloudinary or Share Cloudinary on Facebook and immediately get additional quota. If your friends end up signing to Cloudinary, your quotas will increase even further. Social sharing buttons are now available through your Management Console. Why do people love us? Time, as you know, is money. Cloudinary has helped our users save time, save money, and allow them to focus on the real challenges of development. Cloudinary, without doubt, makes a developer's life easier. Powerful image management capabilities are now at the tip of your fingertips, with almost no implementation time or hassle. What is it that we offer? Cloudinary streamlines all your online image management needs. With Cloudinary you can easily upload images to the cloud. Automatically perform smart image resizing, cropping (including face detection based cropping), merging, overlay, watermark, apply effects, rotations, format conversions, without installing any complex software. All your images are then seamlessly delivered through a fast CDN, optimized and using industry best practices. Cloudinary offers comprehensive APIs and administration capabilities and is easy to integrate with new and existing web and mobile applications. As more users sign-up through your post or tweet, you are rewarded with more and more free storage space and monthly bandwidth quota. In addition, we plan to create an affiliate program which we hope will help grow our strong base of loyal customers even more. Want to start sharing and getting some extra quota? Log in to the management console of your account, check out the new "Spread the Word" section and click on the Share and Tweet buttons. 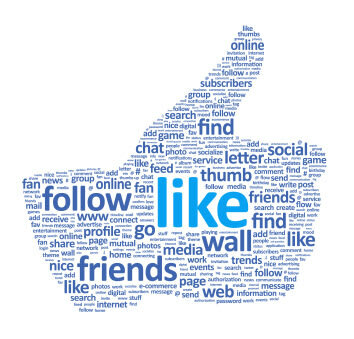 Tell your friends, like us on Facebook or follow us on Twitter and receive more storage space and bandwidth! Read more about it here. 500MB storage and 1GB bandwidth for every tweet or Facebook share. 300MB storage and 600MB bandwidth for each sign-up via the shared posts.